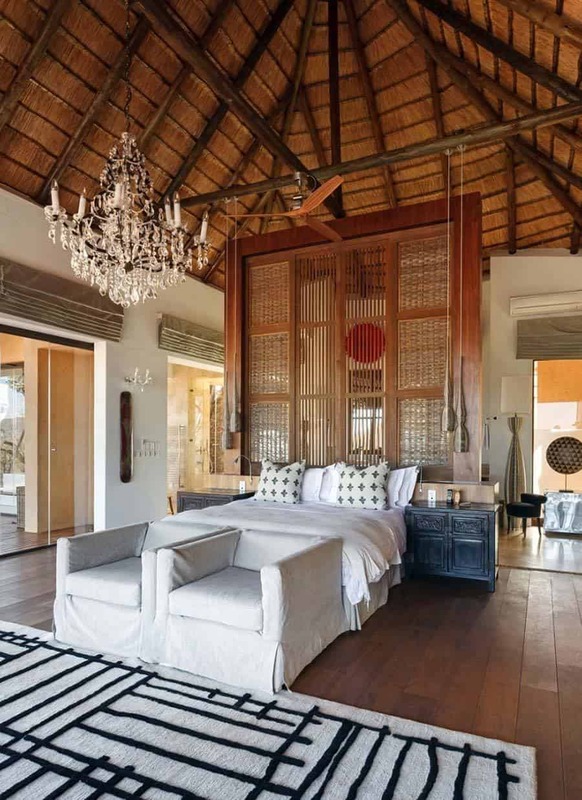 Its been quite some time since we posted a great vacation villa, then we stumbled on this heavenly retreat in South Africa and we couldn’t resist sharing it with you. 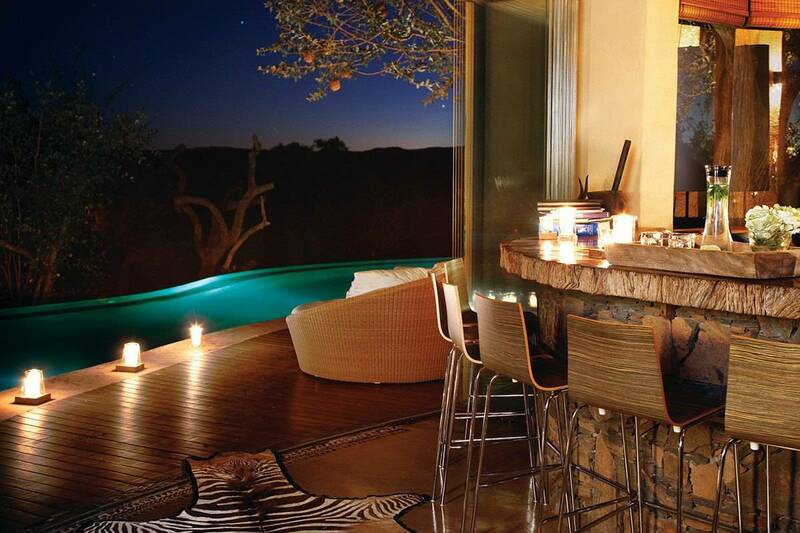 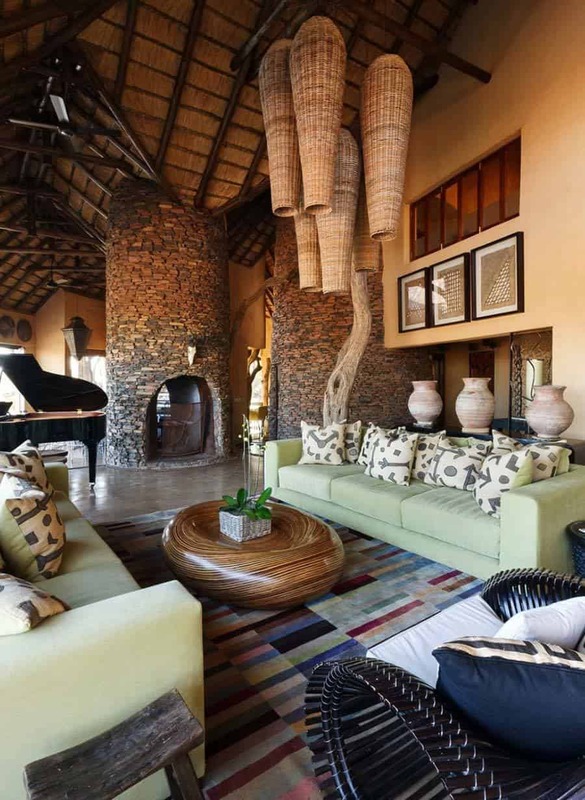 The Molori Safari Lodge is ideally positioned in the Madikwe Game Reserve, with the word ‘Molori’ meaning ‘to dream’, which captures the essence of this lodge. 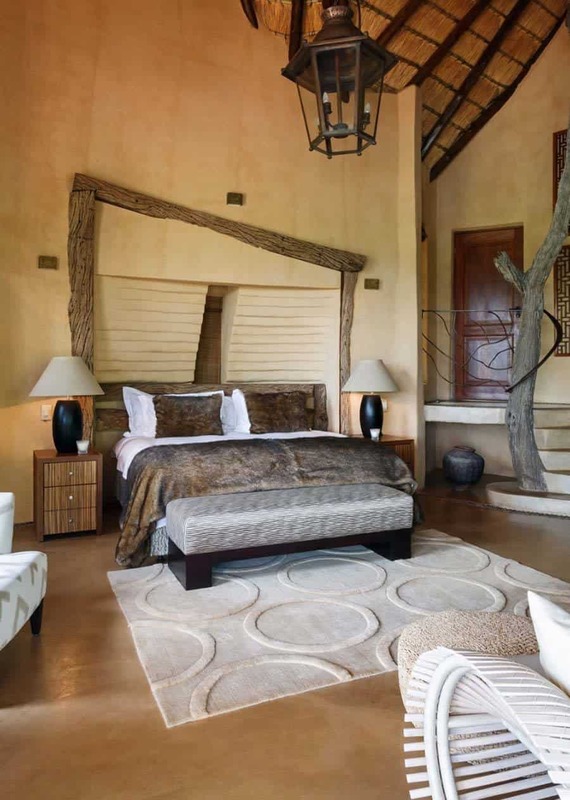 Renowned as being the most luxurious game lodge in the region, the retreat offers its guests seven sumptuous bedrooms, each with en-suite bathrooms. 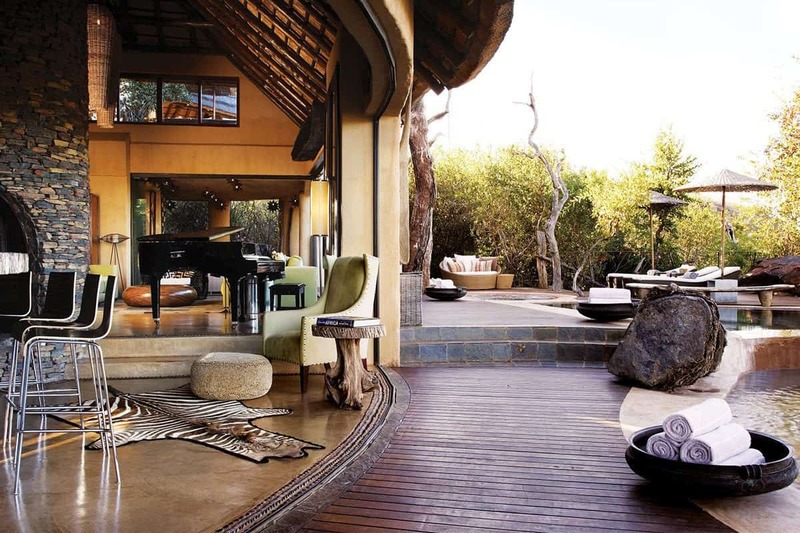 The structure was originally designed as a family home in 2002, but was transformed in 2007 into what can only be best described as paradise for those looking for luxury travel. 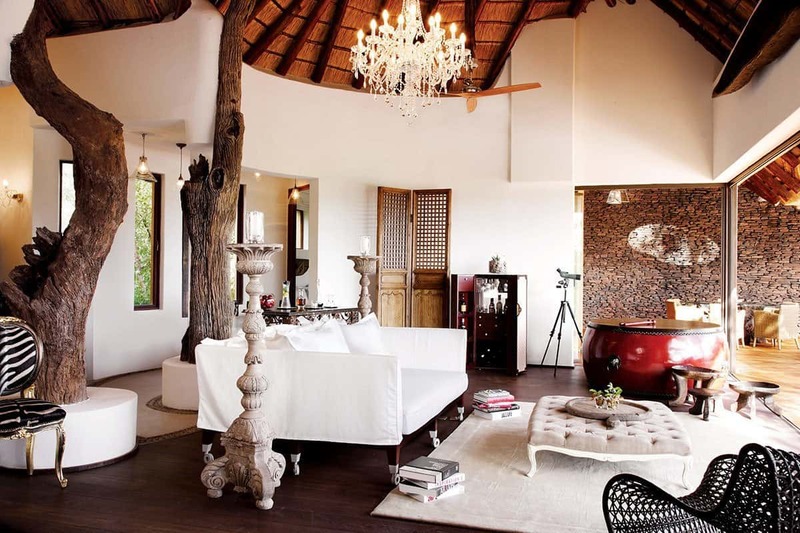 The lodge is soaked in nature, surrounded by mature growth trees that have helped to influence the design. 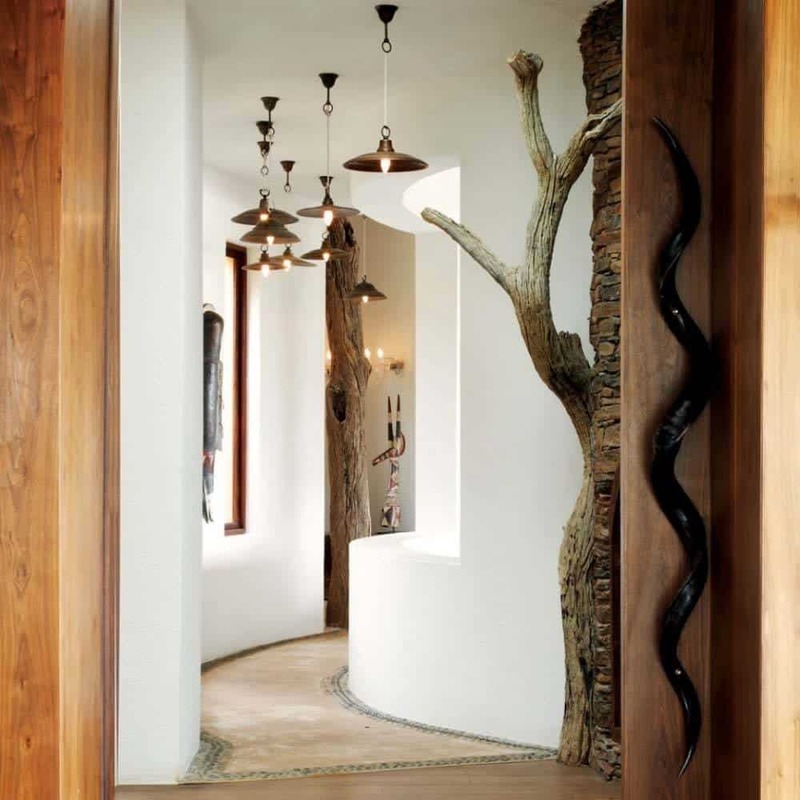 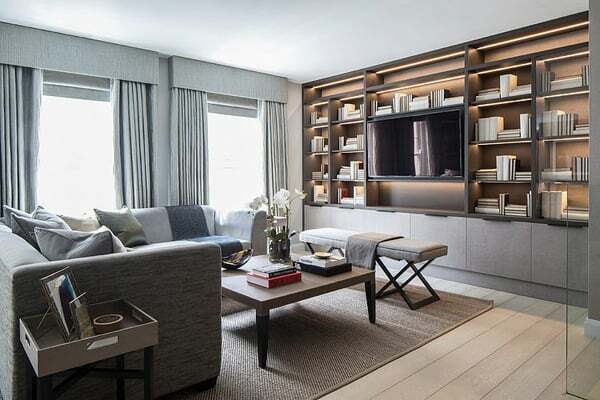 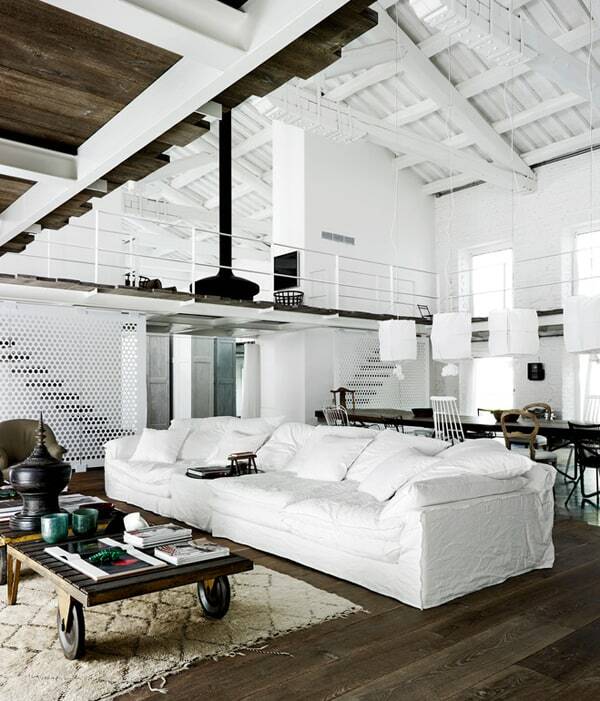 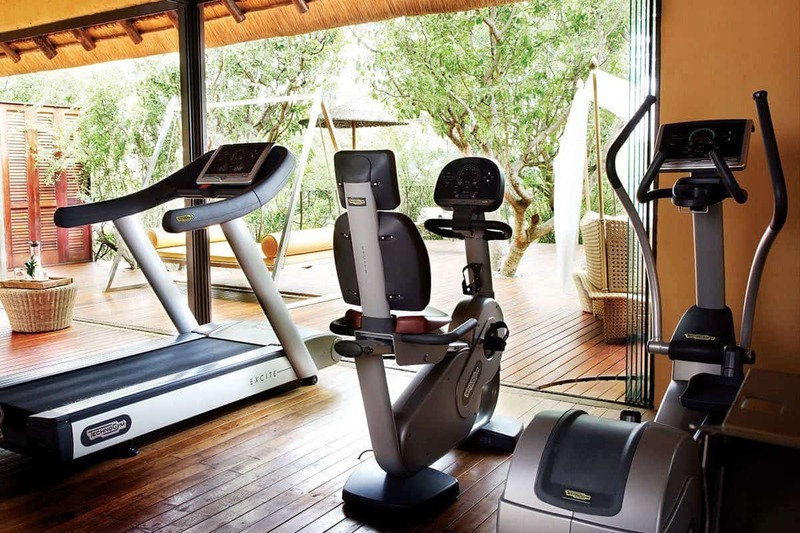 Natural materials have been incorporated to have not only a calming effect but to accentuate the natural environment. 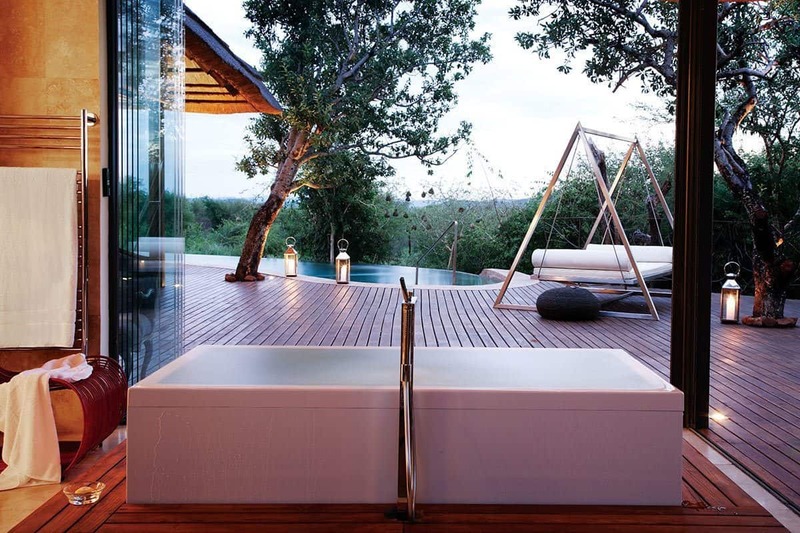 Hardwood flooring and decking materials helps to extend the interior living space to the outdoors, where a negative edge pool that mimics glass will entice you for a dip. 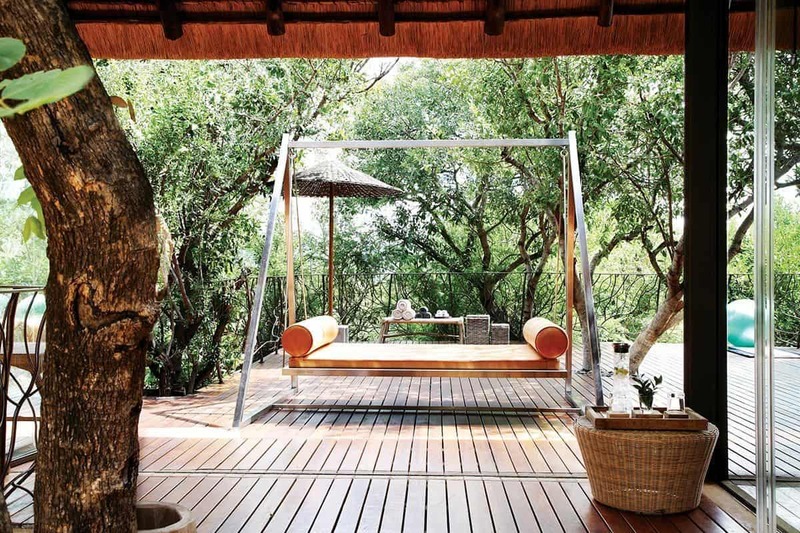 This is a very private retreat, where you can enjoy sitting outside with a good book in a quite oasis where the only thing you will hear are the sounds of nature. 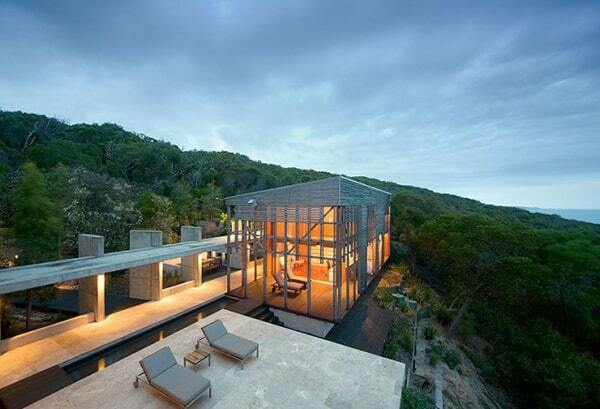 Distant mountains serve as a nice backdrop to this 75,000-hectare property. 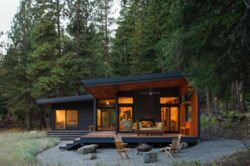 This incredible vacation retreat sleeps up to 14 people, with rates ranging from $9,928 – $11,419 / night, from here. 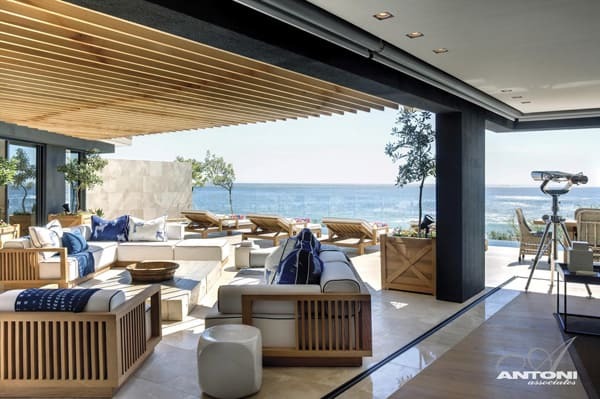 Additional amenities includes gourmet chefs to cook you delicious, mouth-watering meals that you can enjoy in a more formal indoor dining area or al fresco on the terrace—or even in the privacy of your own room. 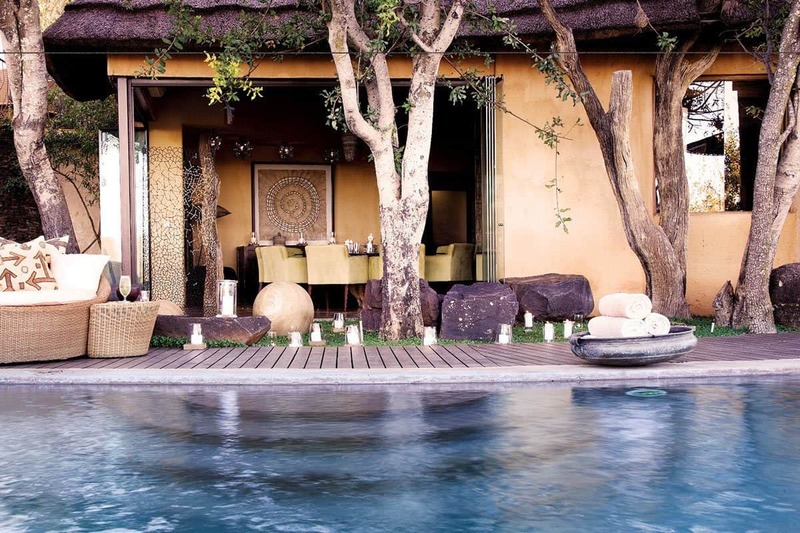 There are plenty of wellness options as well, besides a relaxing hot tub, there is a gym, sauna and steam room as well as a full spa treatment facility to luxuriate in… then afterwards you can take a plunge in their chiller pool to really feel refreshed! 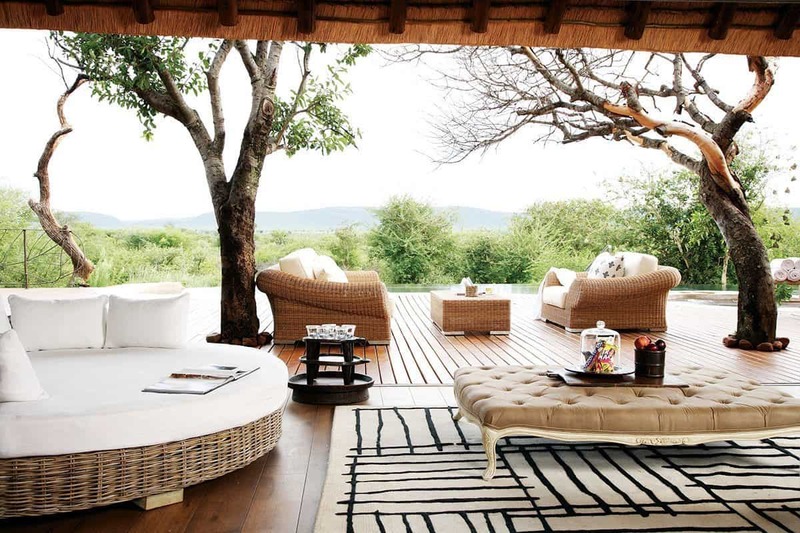 Your luxury vacation also includes a safari and a game drive which is hosted twice a day. 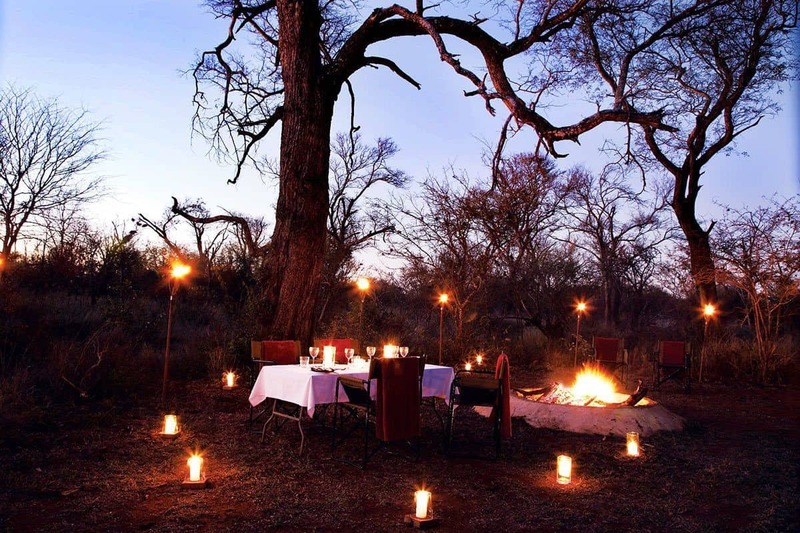 There are also guided walking tours through the bush, where you never know what you might encounter! 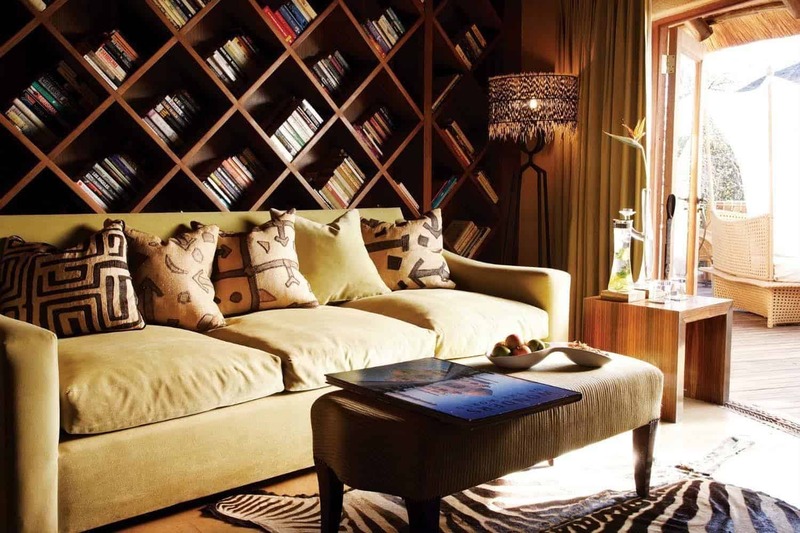 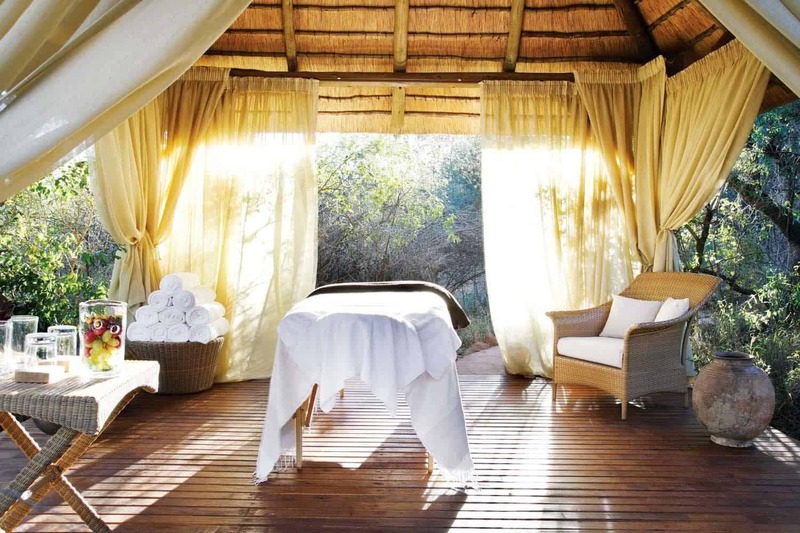 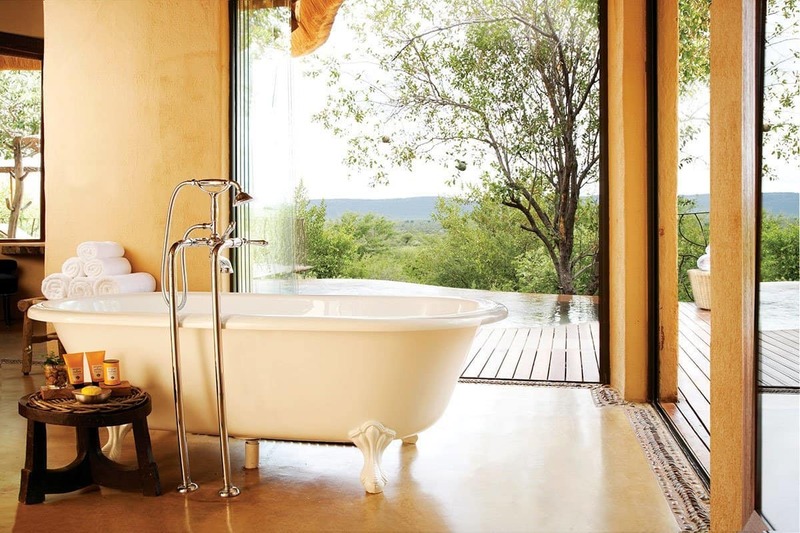 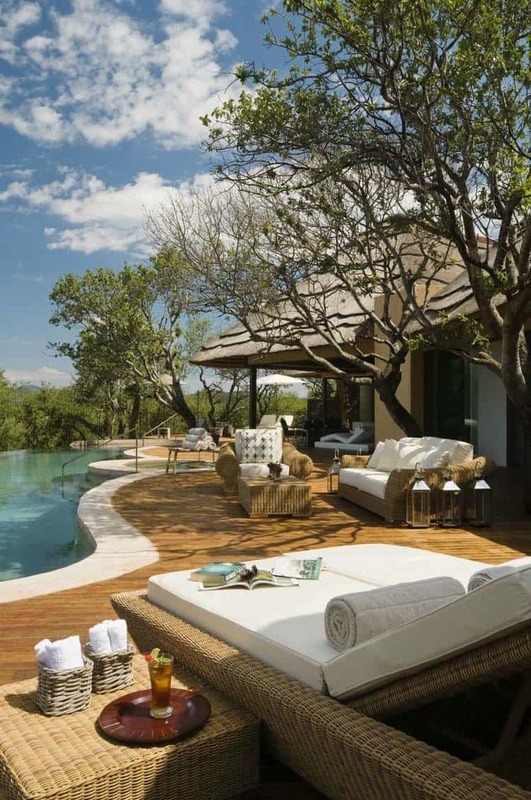 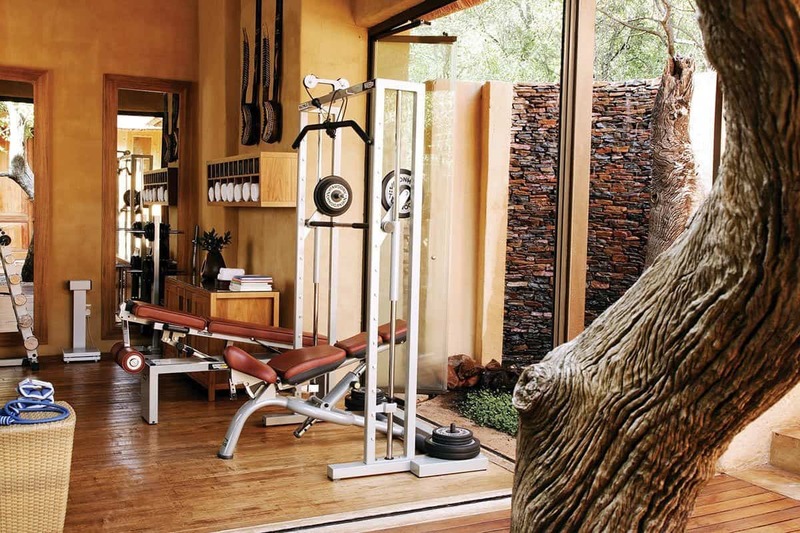 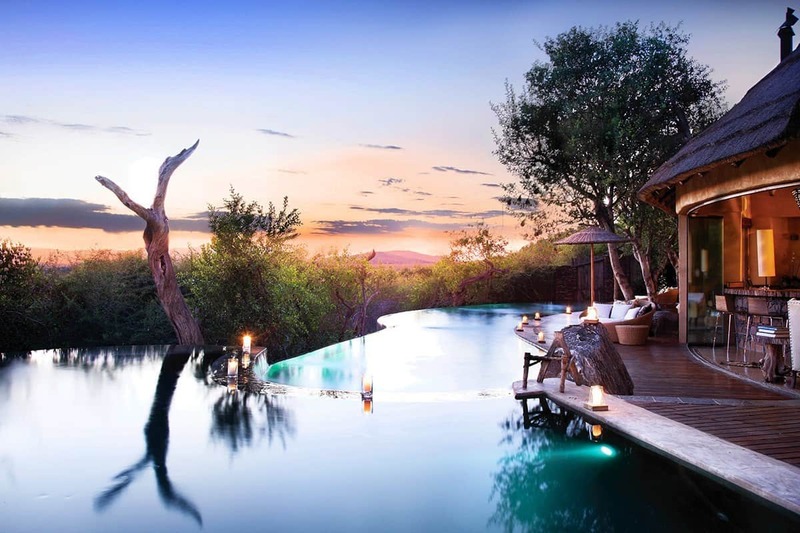 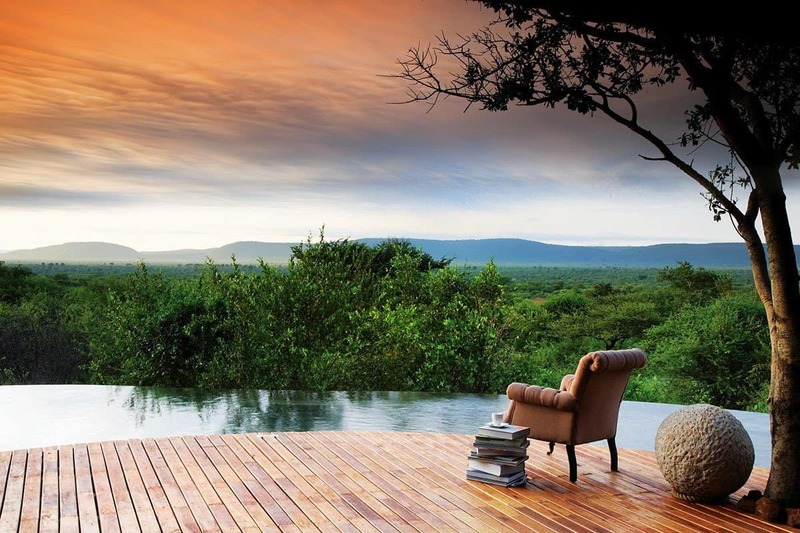 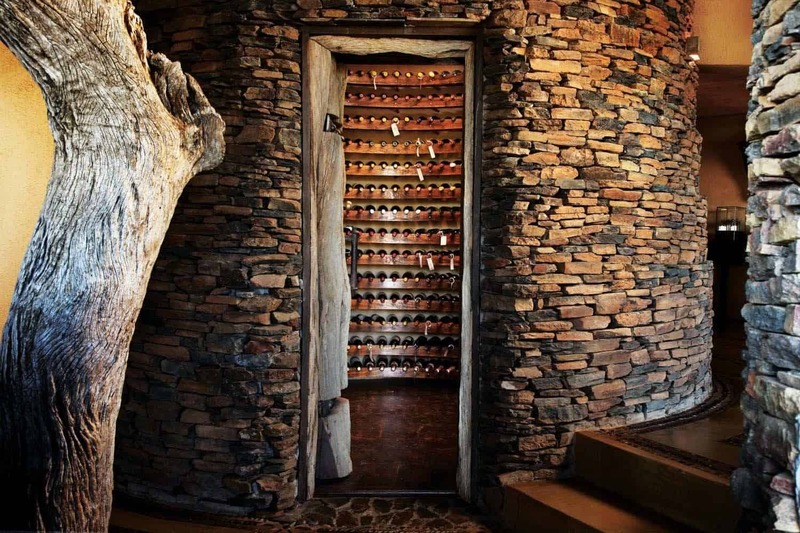 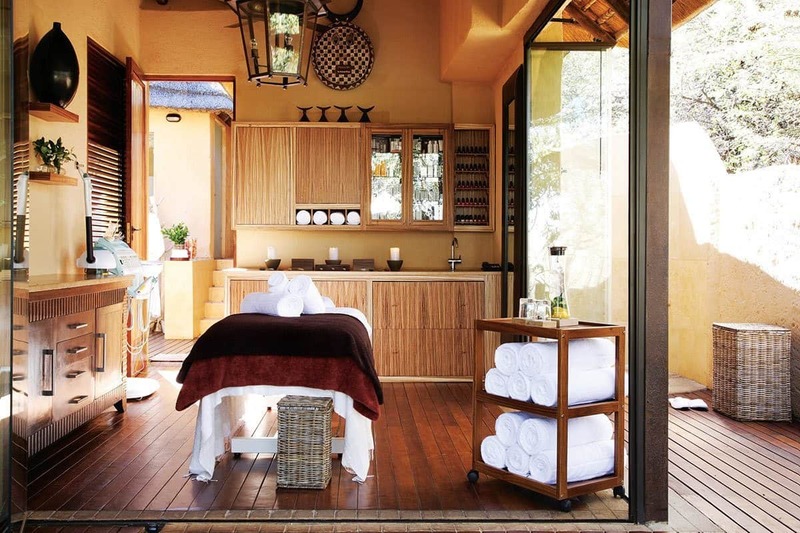 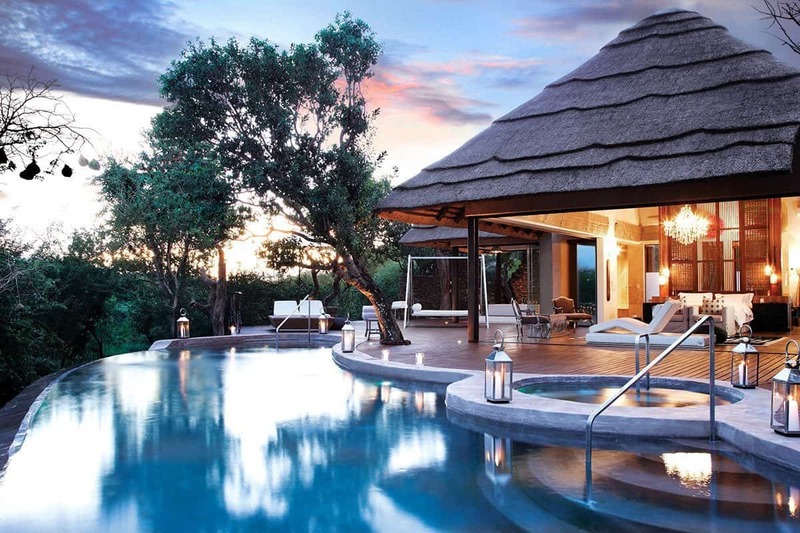 Have a look at some other tantalizing game reserves that we have featured in the past here on 1 Kindesign, such as this Luxurious Singita African Game Reserve or this fabulous feature on the Singita Boulders Lodge in Sabi Sands Game Reserve. 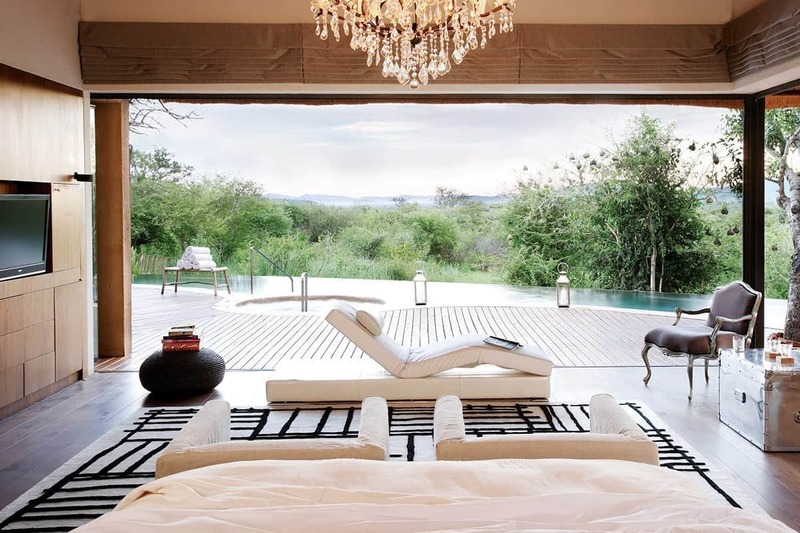 What We Love: The open air spaces, sumptuous guest rooms and glass-like swimming pool makes this an ultra-luxurious retreat for anyone to enjoy a relaxing getaway in the wilds of South Africa. 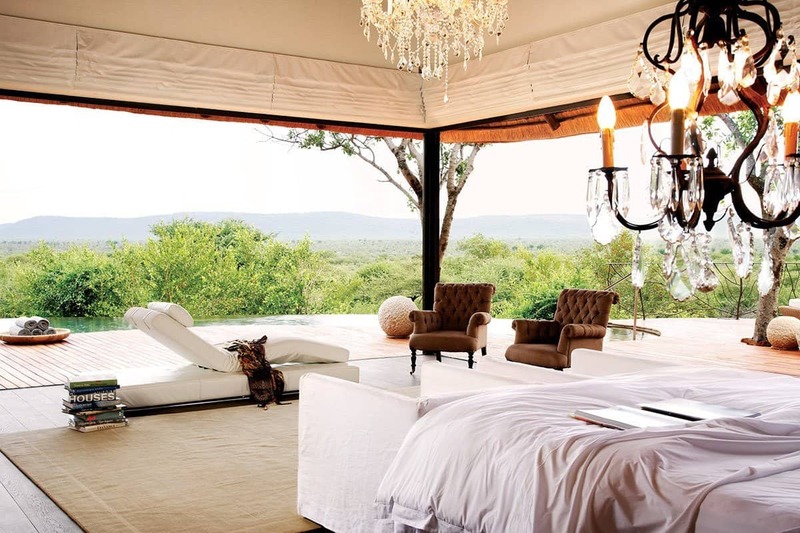 What do you think of this lodge, would you stay here? 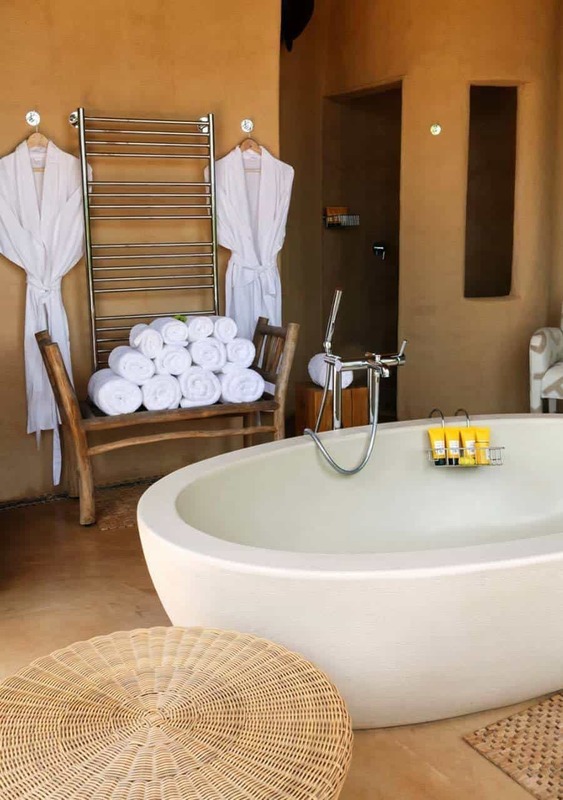 All of the bedrooms feature comfortable beds and luxurious bathrooms with showers, five of them also having their own freestanding tubs like you see in the image above. 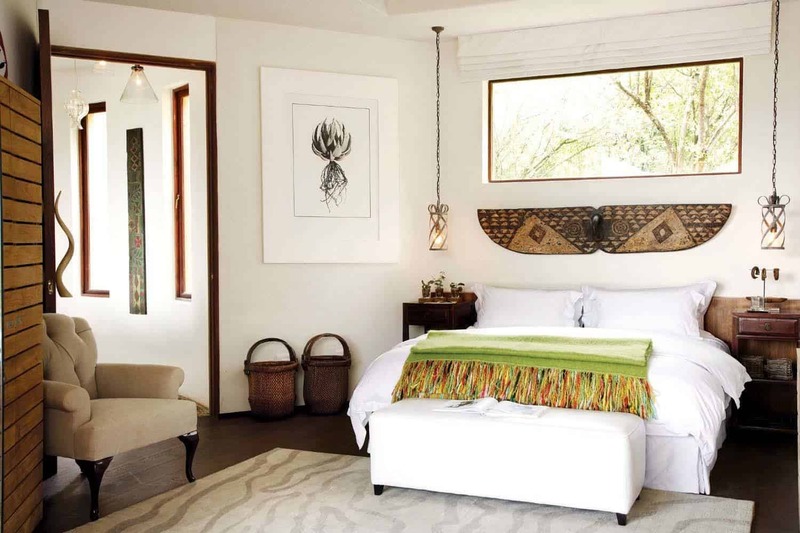 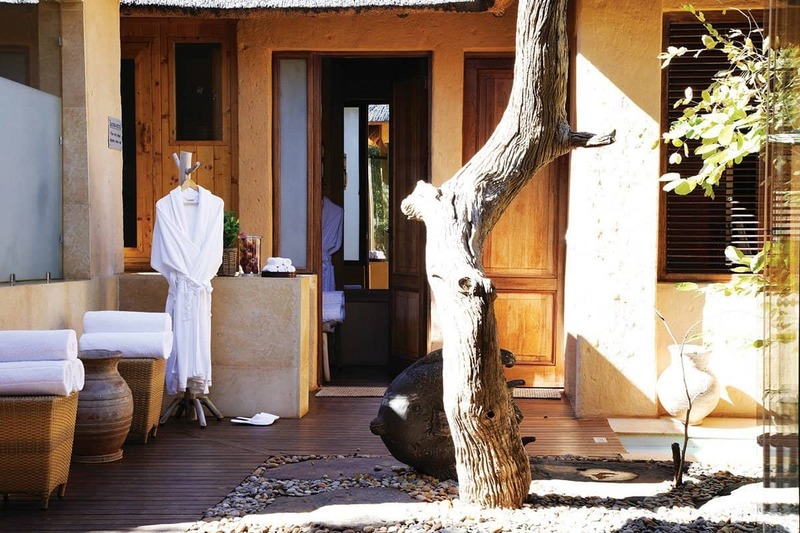 Most of the bedrooms also include their own private deck or balcony, where you can sit back, relax, and soak in the views of the meandering valley or animal waterholes!